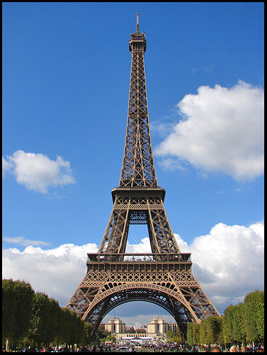 French is one of the very few languages spoken all over the world, and it is currently ranked inside the top 10 most widely spoken language worldwide with an estimated 274 million speakers. 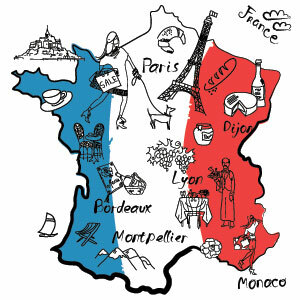 French is an official language of 29 countries, and it is Europe’s second most widely spoken mother tongue. French is one of the working languages of the United Nations, one of the three procedural languages of the European Union, and the sole language used for the deliberations of the European Court of Justice. French has a long history as an international language of commerce, diplomacy, literature and scientific standards. The Junior Cycle French course is a three-year course which provides a solid foundation in all aspects of the language. No prior knowledge of French is necessary when pupils start the language in First Year. During their first three years of French studies, pupils learn vocabulary covering a wide range of everyday topics – family, home, school, numbers, time, days, months, festivals, food, animals, town and buildings, transport and travel, body and illness, clothes, jobs and professions, pastimes, sports, countries and nationalities, holidays, social media, weather and news items. They learn also about grammar concepts such as the definite, indefinite and partitive articles, gender and the plural forms of nouns, masculine and feminine forms of adjectives and agreement of these, regular and irregular verbs, and five basic tenses (présent, passé composé, imparfait, futur et conditionnel). The new Junior Cycle for French was implemented at the start of the 2017-18 school year. This newly formed cycle offers a student a variety of opportunities to speak, write and listen to French. Under the new system, students are required to complete two continuous based assessments (CBAs), one of which must be an oral presentation. The second of these CBAs, is a Student Language Portfolio, where the students, with the aid of the teacher, select three of their best written pieces over the course of the first two and a half years to be put forward for examination. Previously, any oral element to the Junior Certificate was optional but, in this new system, students will be practicing and using their French in order to complete this aspect. There will continue to be an exam after 3 years and it will continue to include written, auditive and comprehension skills and overall, this new Junior Cycle is a well-rounded subject which provides the opportunity to the student to learn and use French in various facets. Transition Year provides an opportunity for a break between the exam-focused work of the Junior Certificate and Leaving Certificate years. The Transition Year French course at DGS consolidates the Junior Certificate course, now adding a greater emphasis on the basic foundations learned at Junior Cycle in order to best prepare students for the Leaving Certificate, should students choose to take French. 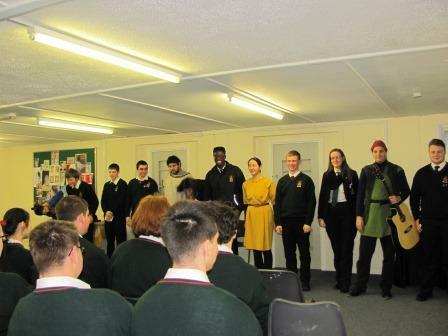 New topics include transition year and related activities, work experience, family relationships, French music, French culture and looking to offer the student a more rounded view of the French nation, while at the same time, covering key aspects to allow the students to discuss the various topics in the target language. 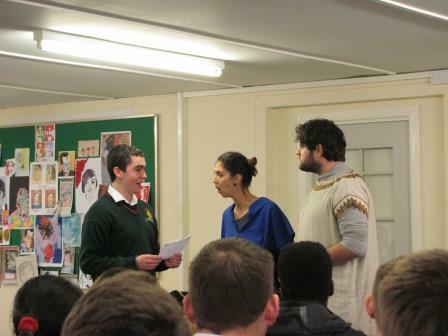 Pupils do a French project in Transition Year. 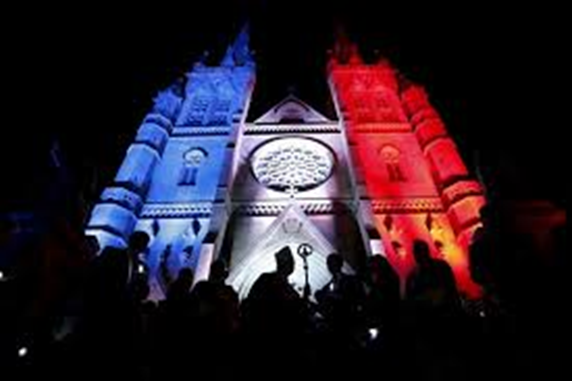 They select a topic related to France, French culture or another French-speaking country, and they carry out research in their chosen area. The final project may be in the form of a book or folder, a poster, a CD or DVD, or a PowerPoint presentation, and it will be presented to the rest of the class. 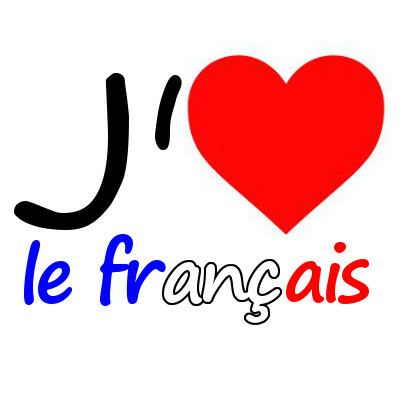 Transition Year is a good year for pupils to consider doing a French exchange or a French language course in France. The school can supply the names of exchange organisations and language courses which our pupils have used in the past. Previous immersion in a French-speaking environment is a considerable advantage when doing the Leaving Certificate, especially for the oral examination. 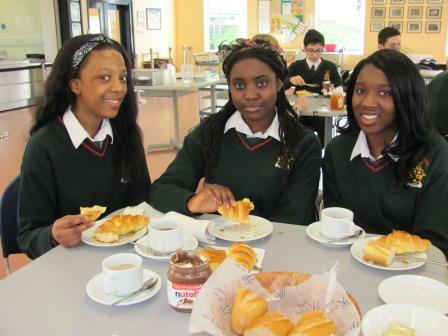 The Leaving Certificate French course builds on language skills already acquired at Junior Certificate level. Pupils must have taken French at Junior Certificate level (or its equivalent) in order to take French for Leaving Certificate. There are four sections in the Leaving Certificate French examination, and these assess the four language skills of listening, speaking, reading and writing. The oral examination is held in March or April of the Leaving Certificate year and consists of a 15-minute conversation with a visiting examiner. Topics discussed typically include the candidate’s family, school, town/village, interests and hobbies, plans for the future, holidays and trips abroad, and topical social issues. Marks are awarded for pronunciation, vocabulary, structures (grammar) and communication. The oral examination is graded at a common level, and marks are subsequently adjusted depending on whether candidates opt to sit the Higher or Ordinary Level written examination in June. The aural examination is held on the same day as the written examination in June and consists of a 40-minute listening test during which candidates listen to French conversations, interviews and radio clips, and answer questions on what they hear. All candidates listen to the same CD, with different question papers for Higher and Ordinary Level candidates. The written examination is two and a half hours long and consists of reading comprehension and written expression tasks. The Higher Level paper contains two comprehension texts (one journalistic and one literary) with mostly French questions (the final question on each text tests global comprehension and is answered in English) and three written tasks which could include a letter (or fax/email), a diary entry, a short anecdote, or an opinion paragraph or response to a picture or quote on a topical issue. The Ordinary Level paper contains four comprehensions (two with English questions and two with French questions) and two written tasks which could include a cloze test, a form to fill in, a post card, a note, or an informal or formal letter. Since a large percentage of the marks are awarded for oral and aural competence, it is advisable for pupils to take part in exchange programmes or language courses in France during their holidays in senior cycle. The school can supply the names of exchange organisations and language courses which our pupils have used in the past. Pupils should also extend their knowledge of French by using apps such as Duolingo, websites such as TV5monde and 1jour1actu, watching French television channels such as TV5monde, watching French films, listening to French radio, and reading French newspapers, magazines and books. 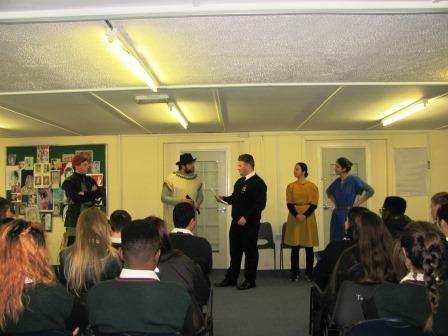 As well as the course-based work outlined above, the French Department at DGS also offers various less formal activities. The French theatre company French Theatre For Schools comes to the school each year to perform French plays specifically written for French pupils in Irish schools. 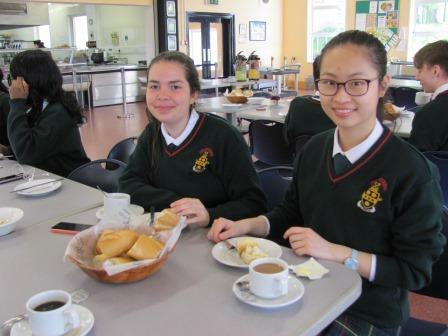 The traditional TY French breakfast has become a popular event on the busy TY calendar, and senior classes enjoy a cinema trip to see a recent French film selected for critical discussion in French classes. A modern language is a requirement for entry to many university and third-level courses, and it is possible to study French at third level in conjunction with a wide range of other subjects. French may be studied as part of an arts degree, or as part of a degree in media, journalism, law, finance, business, marketing or catering. There are also options to take modules in French with science or IT subjects in certain third-level institutions. Students with a modern language often spend an Erasmus year in the country of their language as part of their degree, broadening their horizons and experiencing a new country and culture. Knowledge of a modern language such as French is a great advantage in securing employment, both at home and abroad, and is also a huge asset when travelling.